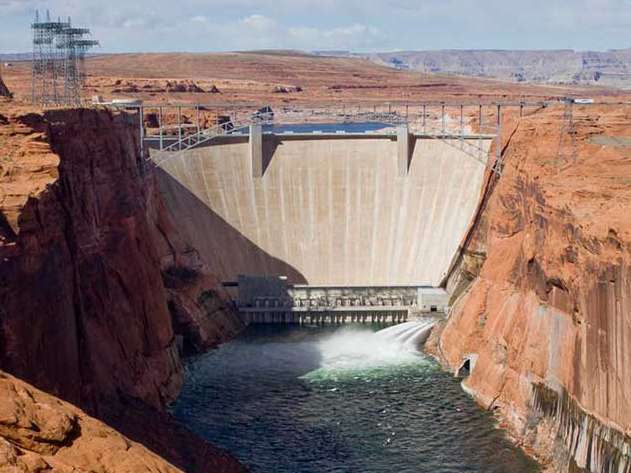 Utah State University's Center for Colorado River Studies offers an exhaustive analysis of the ‘Fill Mead First’ plan, which proposes draining Lake Powell to restore Glen Canyon and send water downstream to Lake Mead. Credit: U.S. Dept. of the Interior. Glen Canyon Dam has greatly altered the Colorado River, inundating more than 150 miles of the Colorado River in Glen Canyon and transforming the ecosystem of the Colorado River in the Grand Canyon. But Utah State University scientists urge caution in implementing the widely publicized Fill Mead First plan aimed at restoring the canyon. The massive plan calls for partially or completely draining Lake Powell, the reservoir formed by the dam, and collecting the water downstream in Lake Mead, the reservoir formed by Hoover Dam. In a technical assessment of scientific issues associated with the proposed project released November 10, 2016, by USU's Center for Colorado River Studies, Jack Schmidt, center director and professor in the Department of Watershed Sciences, along with graduate students Maggi Kraft, Daphnee Tuzlak, and Alex Walker, offers an exhaustive analysis of anticipated water savings and possible risks of FMF's implementation. Developed by the Salt Lake City-based Glen Canyon Institute, a non-profit environmental organization advocating restoration of Glen Canyon, Fill Mead First proposes draining Lake Powell in a three-stage process and storing most Colorado River water in Lake Mead, 300 miles downstream. 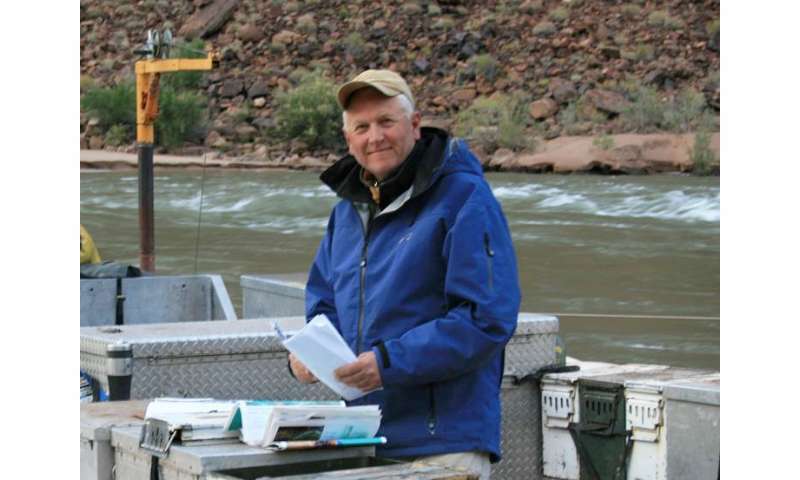 Schmidt and colleagues analyzed data published in scores of government reports and data summaries compiled during the past few decades, and estimated conditions in Glen Canyon and the Grand Canyon if the Fill Mead First plan is implemented. "It is surprising how much uncertainty there is in estimating losses associated with reservoir storage," says Schmidt, who served as chief of the U.S. Geological Survey's Grand Canyon Research and Monitoring Center from 2011 to 2014. He and colleagues found evaporation losses at Lake Mead are measured by the U.S. Geological Survey in a state-of-the-science program, but there have been no efforts to measure evaporation at Lake Powell since the mid-1970s. No studies have been conducted since the mid-1980s estimating how much reservoir water moves into the bedrock that surrounds Lake Powell. Using the most-recent data, USU researchers showed evaporation losses would be slightly less if the proposed plan was implemented, but the uncertainty in this prediction is large. It is likely losses into the bedrock surrounding Lake Powell would be only 10 percent of what has been claimed by proponents of the Fill Mead First plan, they say. Additionally, Schmidt and colleagues identified several significant issues that could cause adverse ecosystem changes in the Grand Canyon. For one, recreating the natural pattern of stream flow in Grand Canyon would be very difficult, unless Glen Canyon Dam is completely bypassed. Similarly, it will be impossible to provide a natural supply of sand essential to restoring eddy sandbars and camping beaches in Grand Canyon, unless the dam is completely bypassed. Thus, the ecosystem changes in the Grand Canyon may be small or even harmful, says Schmidt, who was among scientists who proposed use of controlled floods from Glen Canyon Dam to mitigate the dam's effects, including the most recent of those floods begun Nov. 7, 2016, and continuing through Nov. 11. A project as large as FMF should not be attempted, he says, until a detailed plan is in place to avoid catastrophic changes to the Grand Canyon ecosystem downstream from the dam. "It is essential water managers implement plans that store water in large reservoirs in ways that decrease losses caused by evaporation and bank seepage, and in ways that improve river ecosystems," Schmidt says. "The Fill Mead First plan has encouraged us to think broadly about how and where we store water in the Colorado River system, but the magnitude of potential ecosystem changes caused by the FMF plan are so great and the water savings are so uncertain that implementation should await a new program of data collection and analysis designed to reduce uncertainty about the key process of evaporation and bank seepage." Could the Colorado River once have flowed into the Labrador Sea?